We get it-it's easier to use your smartphone to take photos than it is to carry around a bulky camera. But what if the camera wasn't bulky...and it completely changed how you took photos? Enter the Lytro Illum. Get it for 73% off the regular price of $1,300-it's now just $349.99 at Escapist Deals. Unlike most camera, which capture the position of light rays and produce a static, 2D image, the Lytro Illum camera captures the direction of light rays, too. The result? Living pictures that you can refocus, change perspective within, or view in 3D...after you take the photo. For being so powerful, it's also super portable, weighing in at just over two pounds. You'll get the perfect shot every time, from a camera easy to carry everywhere you go. 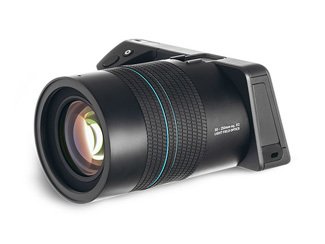 Get the Lytro Illum for just $349.99 at Escapist Deals.